SHENZHEN, China, Jan. 18, 2019 (SEND2PRESS NEWSWIRE) — There are several options to store data such as on hard drives, memory cards and SD cards. Sometimes however these storage devices can experience issues resulting in lost files or in worse cases deletion of data. That’s a big issue that Wondershare’s recently launched software – Recoverit – aims to solve with its award worthy algorithms that help recover files that may have been lost due to one or more reasons including accidental deletion, virus attacks, etc. The common perception when files are deleted is that they are permanently deleted, and no longer exist on the computer or mobile system even with the Shift + Delete command. This however isn’t always the case! Most deleted files are generally only permanently gone from the computer’s system when they are overwritten by other newer files. But this where things get tricky, because there’s no sure-shot way of determining when exactly files on a computer are being overwritten. 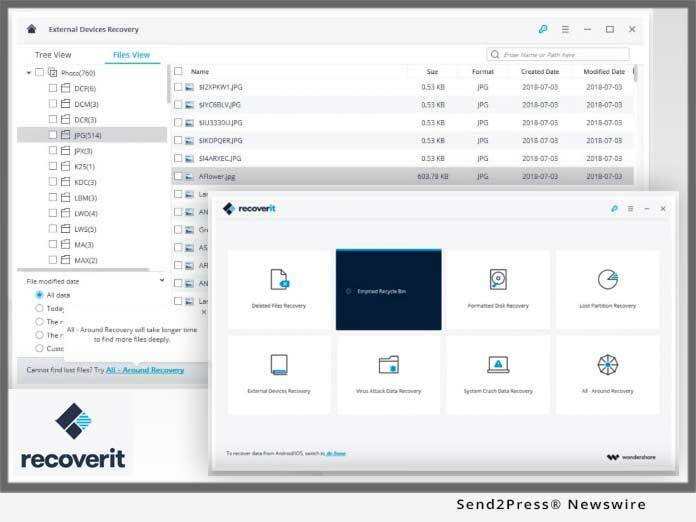 Recoverit is backed by the latest free deleted file recovery software technology, and works in the backend to analyze a respective storage device’s memory, and then presents users with the files that can be retrieved in a well laid out viewing window in its intuitive user interface. Recoverit can easily recover files such as audio, photos, music, emails from any storage device. But that’s not all, the software can help users get back files from several devices including PC’s, laptops, digital cameras and camcorders. Some of the situations from where Recoverit can retrieve data include system crashes, malware attacks and lost partitions. 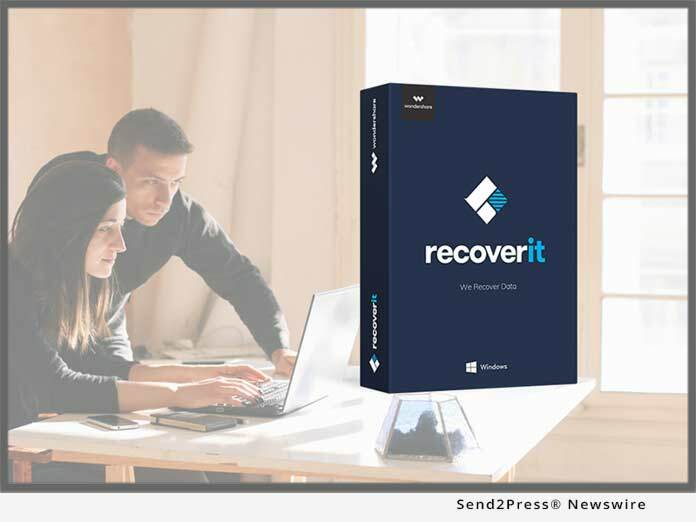 With Recoverit, users get the best of both worlds – free data recovery windows software and one that is easy to use by both novice and seasoned computer users. The software can be downloaded with just a few clicks, and installed just as easily. Once downloaded and installed, users simply launch the software, and then select the recovery mode that best fits their situation. For example – to recover deleted files from the recycling bin, user will need to select Recycle Bin Recovery from the user interface for optimal results. After the scanning process is complete, the files that can be recovered from the storage device and then they will be displayed in the preview Window where users can select the files they wish to restore.